According to a new study, the use of echocardiography can help clinicians better predict outcomes for individuals with pulmonary embolisms. 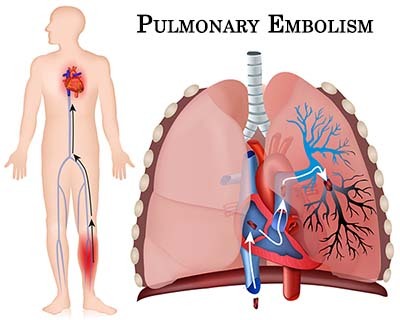 An acute pulmonary embolism is a serious, potentially fatal condition in which a clot impedes blood flow in pulmonary arteries. The study has appeared in Journal of the American Heart Association. Transthoracic echocardiography (TTE) is often considered for risk stratification of patients with acute pulmonary embolism (PE). Clinicians have increasingly used echocardiography in patients of acute pulmonary embolism to assess structural and functional changes in the heart. Data from the RIETE (Registro Informatizado Enfermedad TromboEmbolica) registry, a multicenter registry of consecutive patients with acute PE, were used (2001–July 2017) to study the impact of using echocardiography for assessing pulmonary embolisms. The study authors analyzed data and observed that among 35,935 patients, 15,375 (42.8%) underwent early echocardiographic assessment. They noted that certain factors — such as enlargement of the right atrium, weak contraction of the right ventricle, and presence of thrombi in the right side of the heart — were associated with increased odds of 30-day mortality from the pulmonary embolism. The results remained substantively similar even after they considered patient demographics and other clinical factors. The large size of the study underscores the importance of echocardiography in the early assessment of patients with acute pulmonary embolism, said first author Behnood Bikdeli of Yale’s Center for Outcomes Research and Evaluation (CORE). “This is an important step forward in understanding that these patients have the higher risk. The next step is to start testing more advanced strategies to determine how we can improve the outcomes of patients who present with these features,” he noted. The authors concluded that presence of right atrial enlargement, right ventricular hypokinesis, and right heart thrombi are predictive of pulmonary embolism–related mortality in unadjusted and adjusted analyses. Therefore Echocardiography could help with better prognostication in the early care of patients with pulmonary embolism.